A Flash-based computer simulation of the movement of air within the vortex of a tornado. The 3D tornado is color-coded by air pressure, and air motion can be seen as the tornado picks up marker particles and carries them through the vortex. 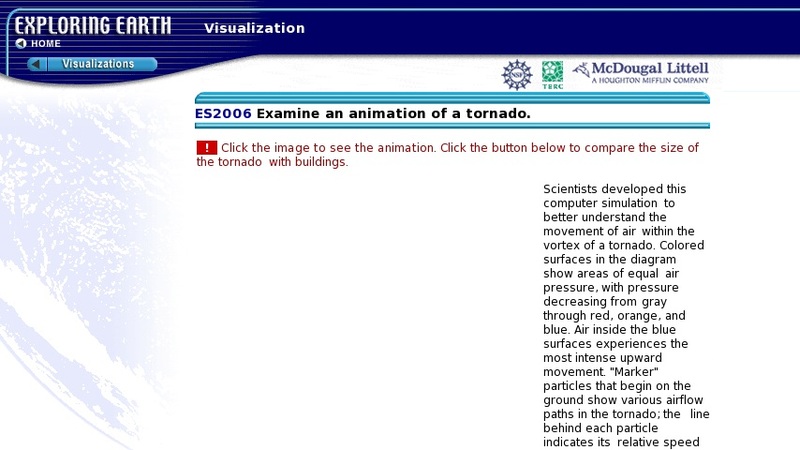 Buildings can also be overlaid on the tornado in order to give a sense of the size of the simulated vortex.